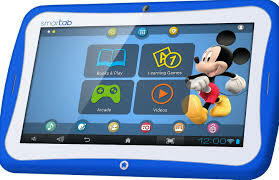 A tablet is a wireless, portable personal computer with a touch screen interface. The tablet form factor is typically smaller than a notebook computer, but larger than a smartphone. Tablets let you do many of the same things as a traditional computer. They can browse the Internet, connect to social network apps, and display HD videos. They excel at applications which do not require a large amount of precise user input. Early tablet devices used light pens or a stylus as their input device. However, today all tablets use a touch screen. Tablets only have a few physical buttons such as the back, power, and volume buttons and everything else can be done using your fingers. 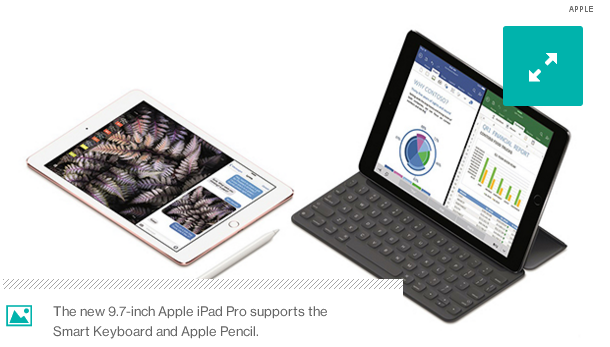 Apple is often credited for defining a new class of consumer device with the iPad. The top two operating systems used with tablets is Apple iOS used with iPads and Google Android used with Android tablets. Most of the current generation tablets also have forward and rear-facing cameras. These cameras are meant to make it easy to use video-conferencing apps and to take a quick high-res photo. Yes, a tablet is considered a computer. Apart from a tablet using a different operating system and input devices many of the components contained within a tablet are similar to what is found in today’s computer’s. Some tablets are modified by adding physical game pad buttons such as D-pad and thumb sticks for better gaming experience combined with the touch screen and all other features of a typical tablet computer. It runs Android games purchased from Google Play store. PC games can also be streamed to the tablet from computers with some higher end models of Nvidia-powered video cards. The Nintendo Switch console is a gaming tablet. Booklets are dual-touch screen tablet computers with a clamshell design that can fold like a laptop. Sony Tablet P and the Toshiba Libretto W100. Business tablets are built specifically for a business customer’s particular needs from a hardware and software perspective, and delivered in a business-to-business transaction. A Smart phone is considered a necessity, while a tablet is much more a luxury or productivity device like a computer. The biggest difference between tablets and smartphones when it comes to marketing is that people use them in different places. For the most part tablets are kept at home, or brought out only on long trips. Another important point is that tablets don’t make phone calls and can not receive or send SMS messages. More than 70% of the world population has a smartphone. Tablets are also growing, but not necessarily in the same market, and definitely not as fast. Even though tablets and smartphones look pretty much the same, there are still major differences between them. 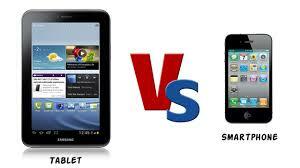 Here I discuss some difference between Tablet and Smartphone. The main difference between tablets and smartphones is obviously the size. Tablets are much bigger than smartphones Tablets range from 7 inch screens, with models around 10 inches being the most popular, and there also models that have even larger screen sizes. Smartphones are much smaller with most models sporting 4 inch screens. It is important for smartphones to be small since majority of people carry them in their pockets, especially men. 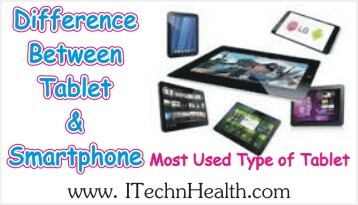 Tablets and smartphones typically share the same operating; Android tablets and smartphones, as well as the iPad and the iPhone. But there are applications that only run in tablets and not in smartphones. This is not because of limitations in the processor but usually because of the impracticality of small screens with the app. When it comes to network connectivity, smartphones trump tablets. Virtually all smartphones have WiFi and 3G connectivity, the latter is basically a given since connecting to a cellular network is a must for smartphones. Tablets have WiFi at the very least for connectivity, but only high-end and pricier models feature 3G connectivity. Smartphones can do the job of a tablet and more. A smartphone is the better choice as you can quickly pull it out or store it when the need arises. Smartphones are more portable than tablets because Tablets have much larger screens than smartphones , Smartphones have call and SMS functionalities while many tablets do not have this facility.